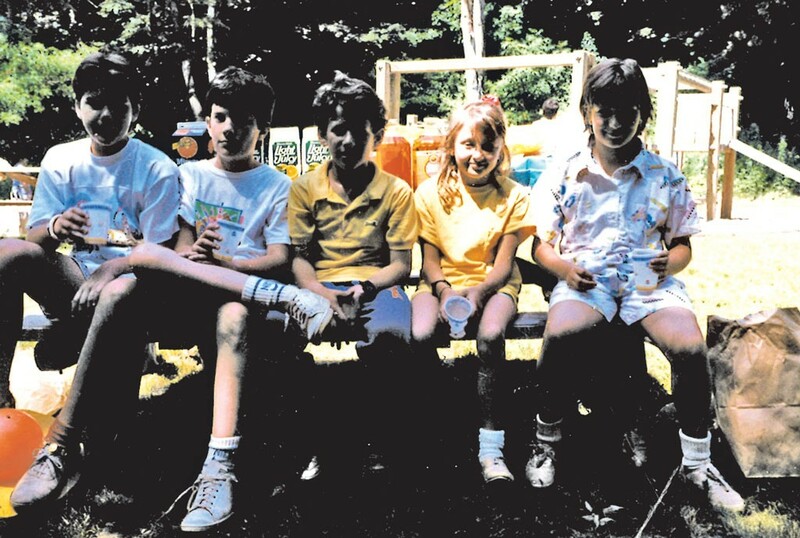 Crushing It: An Elementary-School Relationship, Rekindled Years Later | Use Your Words | Kids VT - small people, big ideas! 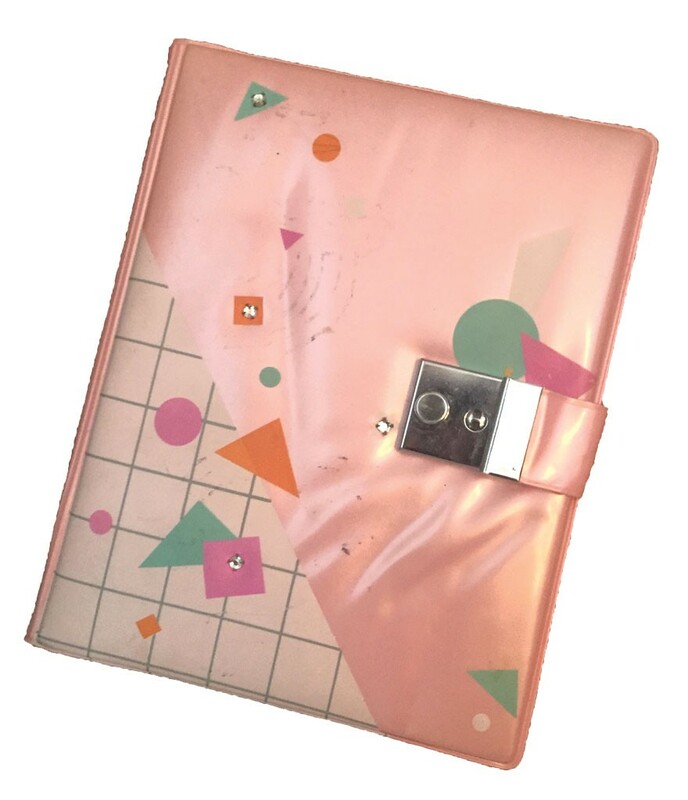 Over the holidays, I found one of my childhood diaries, a relic of the '80s with an abstract geometric design on its pink, plastic cover. The first entry is dated January 1, 1987 — two days short of my ninth birthday. A few pages in, amid lamentations about my parents, there's a section titled "Jeff." "He's really cute. I hope he notices me a little more though," it reads. "Jeff is a little bit dumber than me. Not bad. I try to impress him. But I know I should just be myself. I think he knows I like him." Jeff and I first struck up a friendship two years before I wrote those words, when he moved from Winston-Salem, N.C., to Westchester County halfway through the school year and ended up in my second-grade class. In fourth grade, we were in the same class again, part of a table group who called ourselves the Whiz Kids. That was the year I got a horrible, short haircut, one that made me look like a boy. Jeff and I had similar light-brown hair, and we conspired to wear gray sweat suits on the same day so our teacher couldn't tell us apart. It was one of those weird plans, fueled by kid logic, that I don't think we ever put into action. In fifth grade we decided we were "going out." There was no smooching, or even hand-holding, in our months-long relationship. But I do remember one touching gesture: Sitting on the school bus, waiting to pull away right before the holiday break, I saw Jeff motioning to me through the window. I went to the steps of the bus, and he handed me a poorly wrapped present and wished me a Merry Christmas. Returning to my seat, I unwrapped it to find a crushed shirt box with a scattering of candy and a big-eyed stuffed-animal dog inside. It was the first present I got from a boy — and I still have the dog. I broke up with Jeff later that year, in the middle of recess. Matter-of-factly, I told our friend, Dale, that I rated Jeff a two on a 10-point scale. She scurried away to convey the message to him on the kickball field. Jeff took the news in stride and, just like that, our courtship was over. In middle school, Jeff found his place in a popular, jocky crowd, while I formed close-knit friendships with a group of girls like me: conscientious and competitive about schoolwork. We both had serious relationships in high school. Jeff's was so serious, in fact, that he and his girlfriend were voted "Most Likely to Get Married." There's a huge picture of them kissing in our yearbook. In college, I fell in love with someone who later broke my heart. But then, at our five-year high school reunion, Jeff and I ran into each other outside the bathroom of David Chen's Chinese Restaurant in Armonk, N.Y. The mood was celebratory, a bunch of buzzed 23-year-olds just beginning their adult lives. Jeff and I locked eyes and started talking. I had recently returned from a year working at a bilingual school in Thailand and was about to start a teaching program in the South Bronx. Jeff was living in Astoria, Queens, with a college buddy, working at a big advertising agency. Later, during a post-reunion analysis with my high school friends, I told them sheepishly, "Jeff Novak, he looked pretty good." A month and a half later, my childhood friend, Allie, and I threw ourselves an apartment-warming party in Manhattan. She had recently been in touch with Jeff for work and invited him. He showed up with a few other high school acquaintances, and, again, we slipped into easy conversation. This time we exchanged email addresses. Our first date was several weeks later — and it was a good one. This month, we'll celebrate 13 years of marriage. There's a mutual understanding, an unspoken trust, between childhood friends. Jeff and I share common points of reference: quirky teachers, hometown landmarks, and epic stories of kids fainting during the chorus concert or throwing up in class. And, even though we're both pushing 40, when I look at Jeff, it's not difficult to conjure that second grader with the gray sweat suit and puffy hair, the one who stuttered when he spoke in class and whose cheeks got extra ruddy after a kickball game. We knew each other when we weren't yet fully formed, but in some ways were our truest selves, free from the affectations of adulthood. And we liked each other as kids — quirks and all — before we loved each other as husband and wife. Recently, I pressed Jeff on what was going through his head when we talked at the reunion. "When I saw you, it felt like you were very familiar," he told me, "almost like a family kind of familiar." Now, 16 years after that meeting, we've created our own family. Our son, Theo, just turned 7, and our daughter, Mira, is 9, the same age I was when I wrote that diary entry. Our kids know our story, and Mira once asked me if it was possible that she might marry someone in her fourth-grade class. I thought about how I never dreamed, when I was in fourth grade, that the boy I pined for on those diary pages would become my husband. That we'd spot each other outside the bathroom of a Chinese restaurant, see each other with fresh eyes and fall in love. "Maybe," I told her. "You never know."